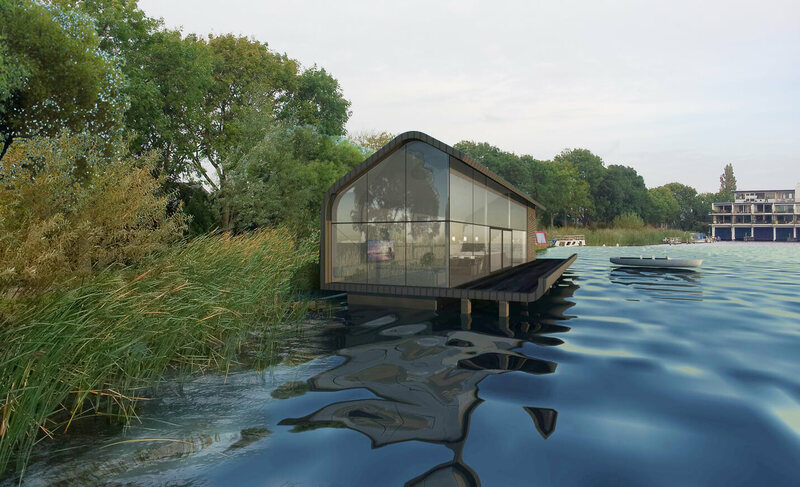 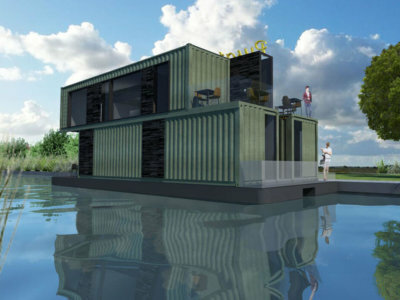 The recreational home is located at the Braassemermeer, a natural lake in the Netherlands. 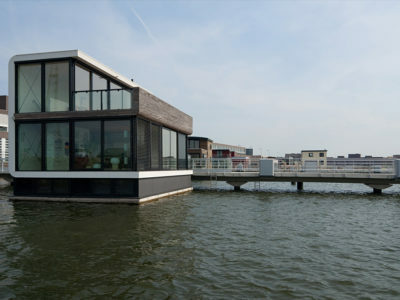 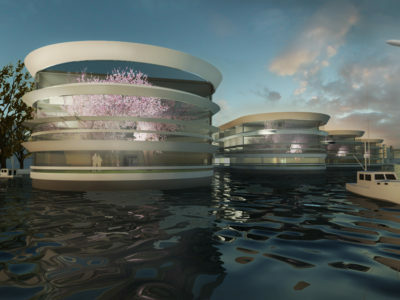 This water architecture is a fantastic example of living on water. 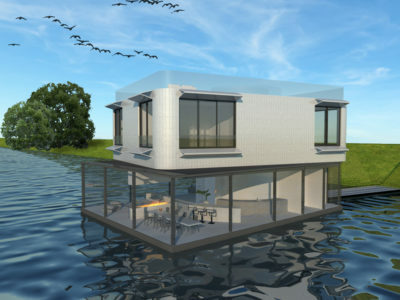 Its benefits are a great water view and the possibility of water recreation in front of your home. 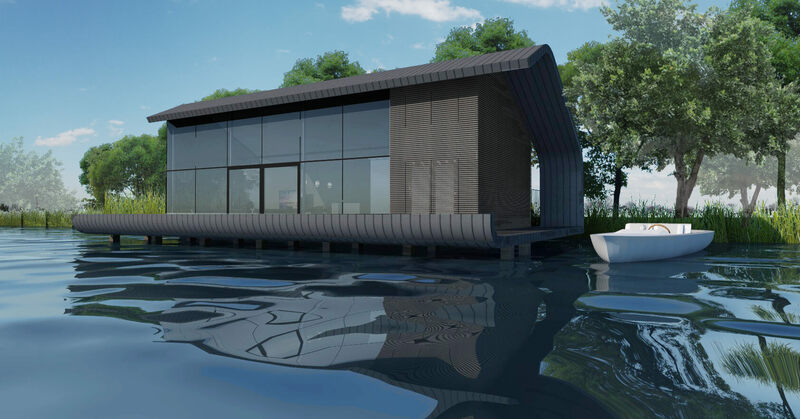 The façade is cladded with zinc combined with wooden elements. 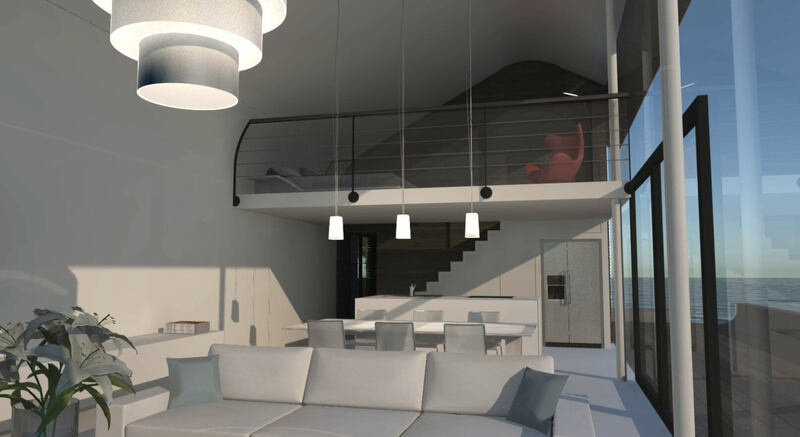 The natural material fits perfectly in its natural environment.